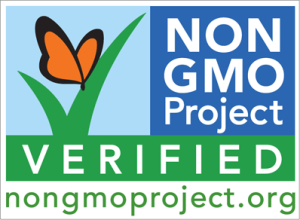 Great Eastern Sun is proud to have most of our main products now Non-GMO Verified by the Non-GMO Project, North America's only organization offering third party verification of GMO controls. Growing evidence connects GMOs with health problems and environmental damage. The Non-GMO Project seal on our products signifies rigorous testing in a NGP approved, ISO (International Organization for Standardization) accredited lab, strict traceability and segregation practices to maintain ingredient purity, and annual audits as well as on site inspections. In order to comply with the Non-GMO Project Standard, our products are required to undergo the Polymerase Chain Reaction test which analyzes the DNA directly and is recognized as being more sensitive and reliable than any other GMO test method. It is the industry standard used worldwide to validate non-GMO claims. Despite the fact that most of our non-organic products are either sea vegetables or traditional small-crop vegetables like umeboshi plums that are unlikely candidates for Genetic Meddling any time soon, we require letters of guarantee from each supplier of non-organic ingredients stating that no GEO’s or GMO’s were used in the growing or processing of its products. These letters are on file at our office and are available for inspection upon request. Great Eastern Sun also has available a complete list of each of its products’ organic certification status, as well as each product’s organic and/or non-organic ingredients. Our goal is to eliminate all non-organic ingredients from our product line as soon as organic substitutes become available.